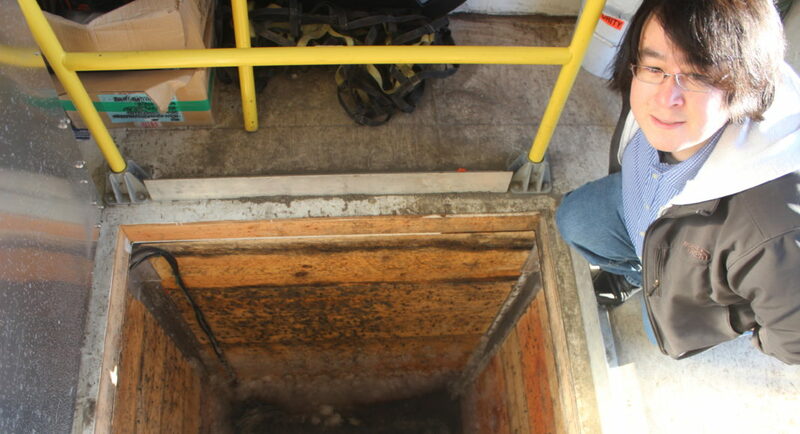 Traditional permafrost cellars on Alaska's North Slope are failing. 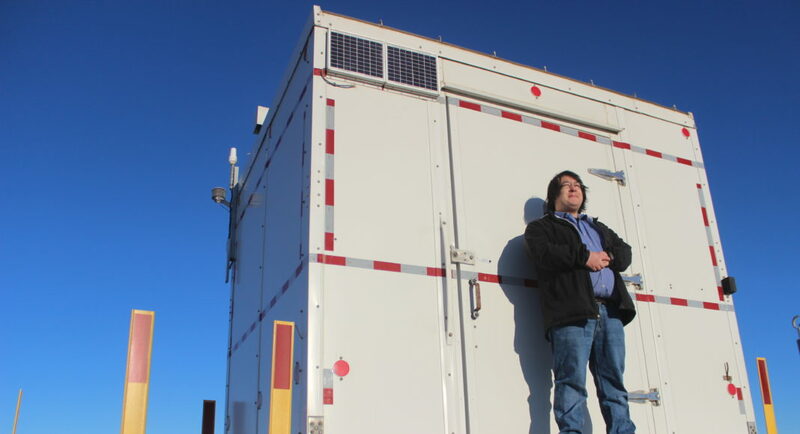 Money and technology from Exxon is helping keeping the tradition going. 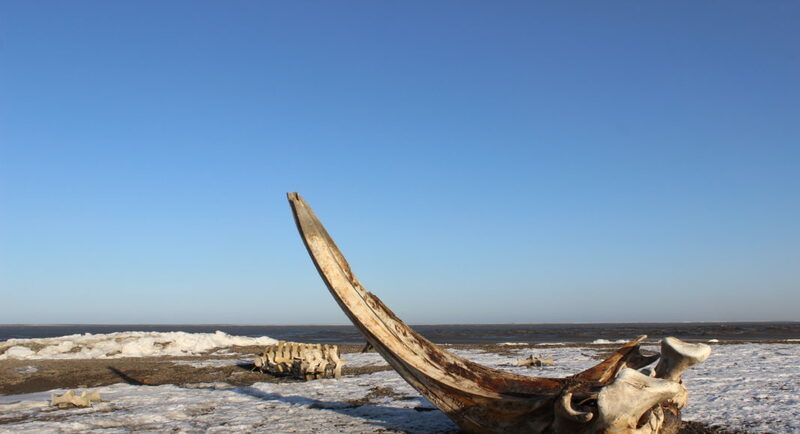 KAKTOVIK, Alaska — When Inupiaq hunters wrestle a 100-ton bowhead whale back to land from the high seas, the next challenge is where to store all that meat. For centuries, the Inupiaq, an Alaska Native group that lives along the shores of the Beaufort and Chukchi seas, have dug cellars into the permafrost as a form of natural refrigeration. Now those “ice cellars” are under threat. Warming temperatures are melting permafrost, while coastal erosion is exposing the underground chambers. Rising water, humidity and warmth create food-safety risks for these once-reliable alternatives to electric freezers. Scientists and the Inupiaq are split on whether climate change or human factors, like shoddy construction, are to blame for the collapsing cellars, found in all eight villages scattered across Alaska’s North Slope, an area roughly the size of Britain and home to about 9,800 people. 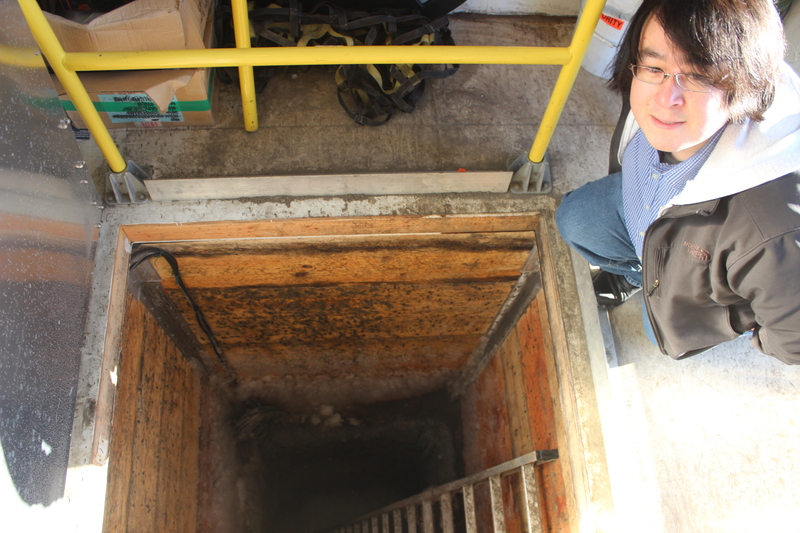 When it comes to the crumbling cellars, “some communities have it much worse than others”, said Qaiyaan Harcharek, an Inupiaq anthropologist who hunts for his family’s food. Besides whale meat, Inupiaq hunters use the cellars to store caribou, fish, geese, ducks and walrus, he said. 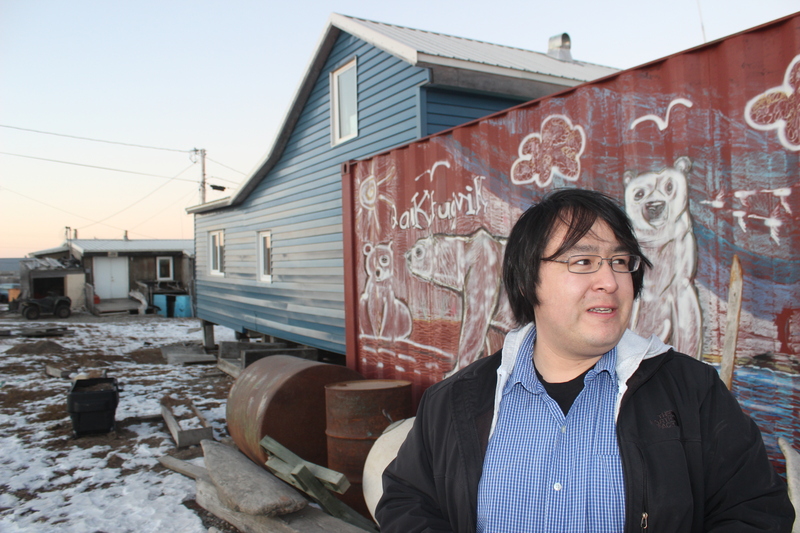 Harcharek, who is at the planning stage of building a family ice cellar, said Utqiagvik (formerly Barrow), the region’s largest settlement, had less of a problem than outlying villages like Point Lay and Kaktovik, where melting permafrost is more of an issue. In Kaktovik, a coastal Inupiaq village of about 260 residents at the northern edge of the Arctic National Wildlife Refuge, nearly all the ice cellars are defunct. 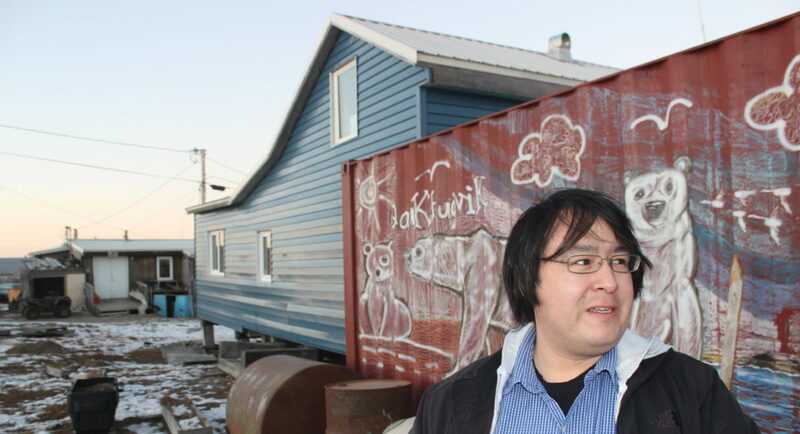 “Most of them have been not in use perhaps since I was a boy,” said Matthew Rexford, tribal administrator for Kaktovik. Only his family’s cellar still functions, he added. Under threat of losing this Inupiaq tradition entirely, the Kaktovik Community Foundation spearheaded a process to design and build a new community ice cellar on the edge of town, which opened in 2017. Unlike traditional cellars that are little more than holes in the ground, this facility is encased in a white metallic shed with reflectors and surrounded by vents. Inside, the cellar is about 3 meters (10 feet) deep, and has enough room for one whale. The community plans to expand it to accommodate up to three whales, the village’s seasonal harvest quota. In addition to a winch for meat and safety harnesses for people climbing in and out, this cellar has high-tech heat siphons that eject warm air before it can cause melting and humidity, along with real-time temperature monitoring. 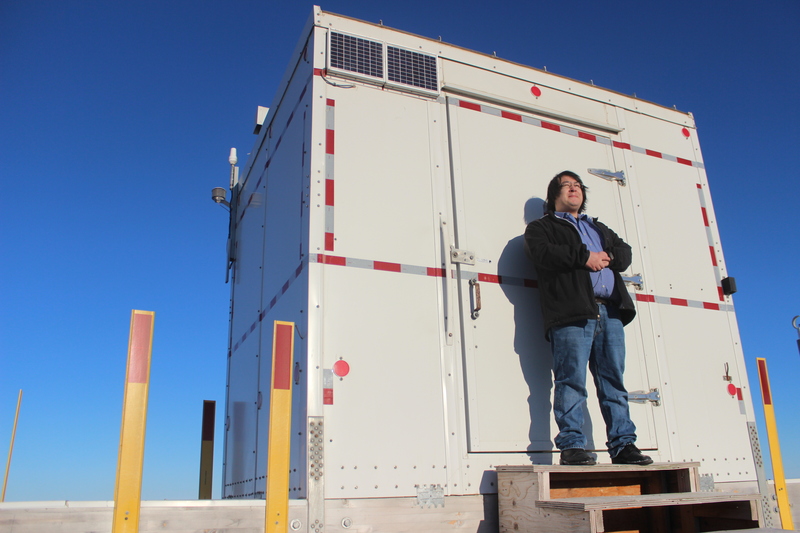 The $120,000 investment needed to install the cellar was donated as an act of corporate philanthropy by petroleum company ExxonMobil, which operates the Point Thomson oil field 100 kilometers (62 miles) west of Kaktovik. Oil companies fund much of the infrastructure on the North Slope through royalties they pay to local government. But for those who believe global warming caused mainly by burning fossil fuels is a major contributor to the traditional ice cellars’ demise, the financial backer of the new start-of-the-art cellar is a slap in the face. “It’s a superficial, ingenuine check off the box,” Harcharek told the Thomson Reuters Foundation. He holds companies like ExxonMobil “hugely responsible” for the rapid warming of the Arctic, which is rising in temperature twice as fast as the rest of the planet, according to the U.S. National Oceanic and Atmospheric Administration. “It’s a cowardly way of supposedly helping out a people where you’re destroying their way of life,” he said. Rexford, who is also president of the community foundation’s board, disagrees. “Folks try to tie climate change to the oil and gas industry,” he said. On Jan. 7, the U.S. Supreme Court cleared the way for the Massachusetts attorney general to obtain records from ExxonMobil to probe whether the oil firm for decades concealed its knowledge of the role fossil fuels play in climate change. ExxonMobil did not respond to repeated requests for comment on the Alaska ice cellar project. There is no scientific consensus on the root cause of the malfunctioning of the traditional ice cellars. Scientists monitored 71 cellars in Utqiagvik, formerly called Barrow, from 2005 to 2015, and found no evidence of thermal change. But, according to an annual assessment by NOAA, permafrost temperatures in 2016 at many sites around the Arctic were among the highest recorded, dating back as far as 1978, with some of the biggest increases since 2000 seen in Alaska’s Arctic. As Harcharek prepares to build his family’s ice cellar in Utqiagvik, he is not taking any chances. He plans to find higher ground, dig deeper, and use more naturally insulating sod, as well as waterproof PVC pipe. Whether at risk from a changing climate or old construction techniques with a limited shelf-life, Harcharek wants his cellar built to last, given the importance the Inupiaq place on their customary method of preserving food. “The cultural and spiritual significance is extremely high, and carries just as much weight as the actual functionality of the ice cellar itself,” he said. In preparation for each whaling season, the Inupiaq clean their cellars meticulously. 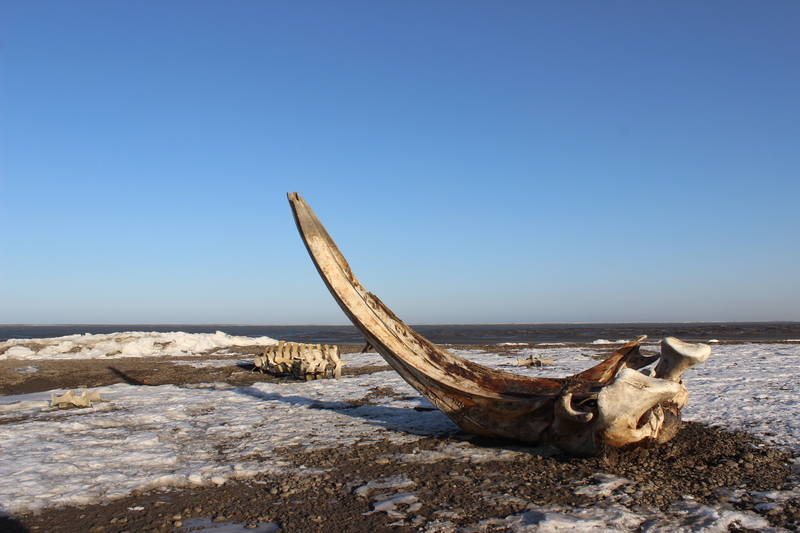 “The belief is if you don’t have a clean ice cellar, the bowhead whale isn’t going to give itself to that crew because that’s an extension of its home and they want to be placed in a nice clean home,” he said. The Thomson Reuters Foundation, the charitable arm of Thomson Reuters, covers humanitarian news, climate change, women’s and LGBT+ rights, human trafficking and property rights.